Najwyższy żołnierz w Armji Polskiej. The tallest soldier in the Polish Army. 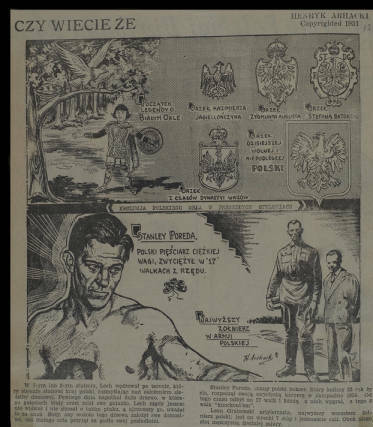 Archacki, Henry, 1907-1998, “Evolution of the Polish eagle,” Digital Collections - University at Buffalo Libraries, accessed April 18, 2019, https://digital.lib.buffalo.edu/items/show/4000.